One thing that is never fun is getting sick! Rather it be catching a cold, the flu or runny nose and itchy eyes from seasonal allergies, being under the weather is something we never look forward to. 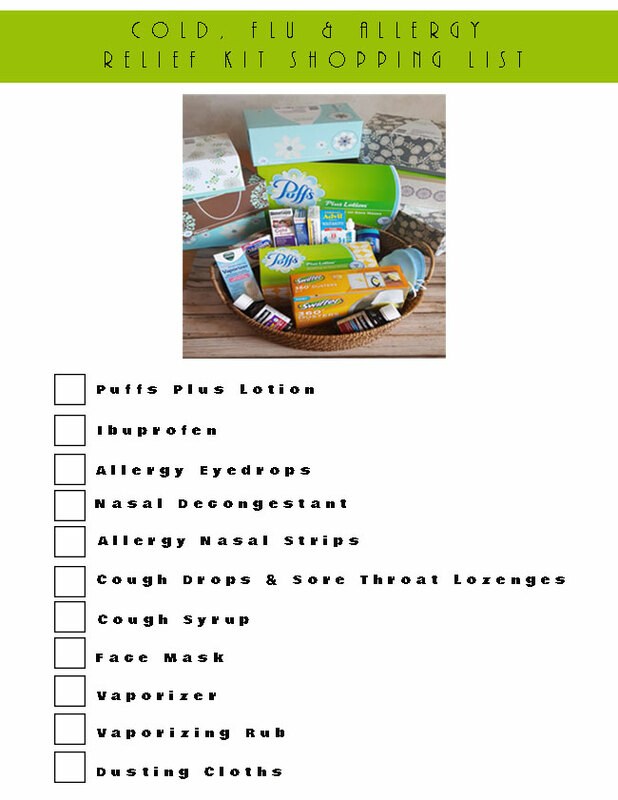 Sniffles & sneezes from a cold or allergy can strike at the most unexpected times so be sure to keep a box of Puffs Plus Lotion in your living room, nightstand, car or office so you are prepared. One of the items on my son’s supply list from school is boxes of tissue. This is something his teacher is asking that we send to school throughout the year for the class. 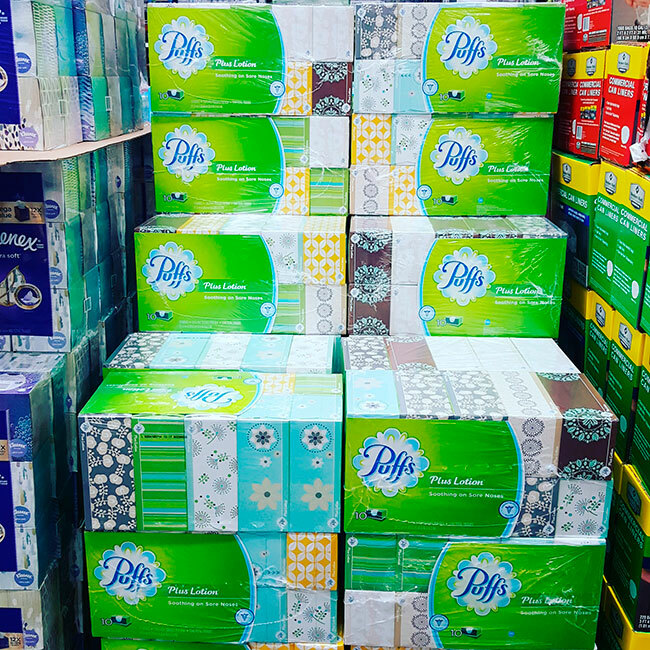 With the cold, flu and allergy season ahead I made a trip to Sam’s Club to stock up on tissue so I can keep a box in every room. At Sam’s Club you can now purchase the Puffs Plus Lotion in a handy 10 pack! They have some new pretty designs on the boxes too! 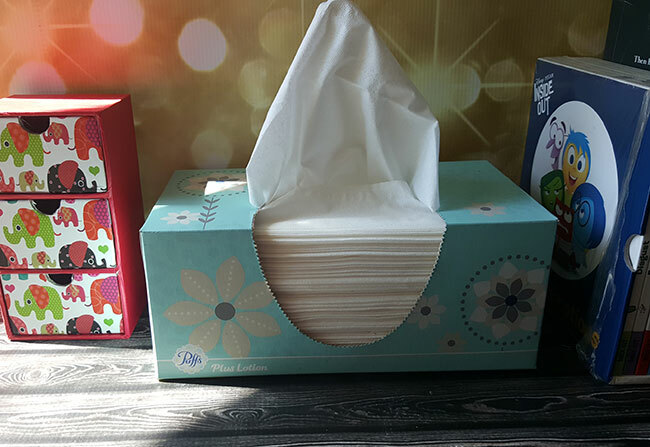 I love this tissue because it is super soft and use it for more than just my nose. The Puffs Plus Lotion is perfect for removing makeup too! 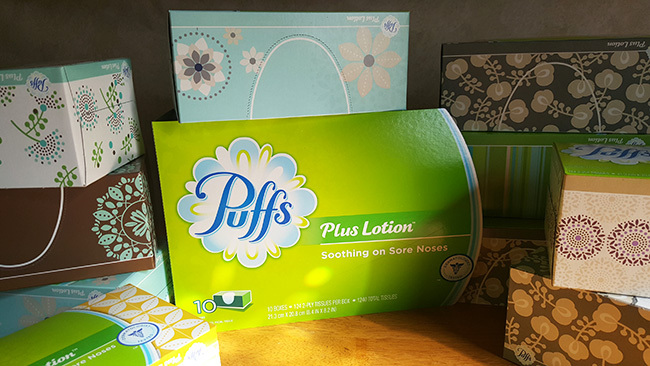 Not only should you be prepared by having a box of Puffs Plus Lotion in every room, you also need to make sure you have the necessary supplies on hand in case you or your family gets sick. 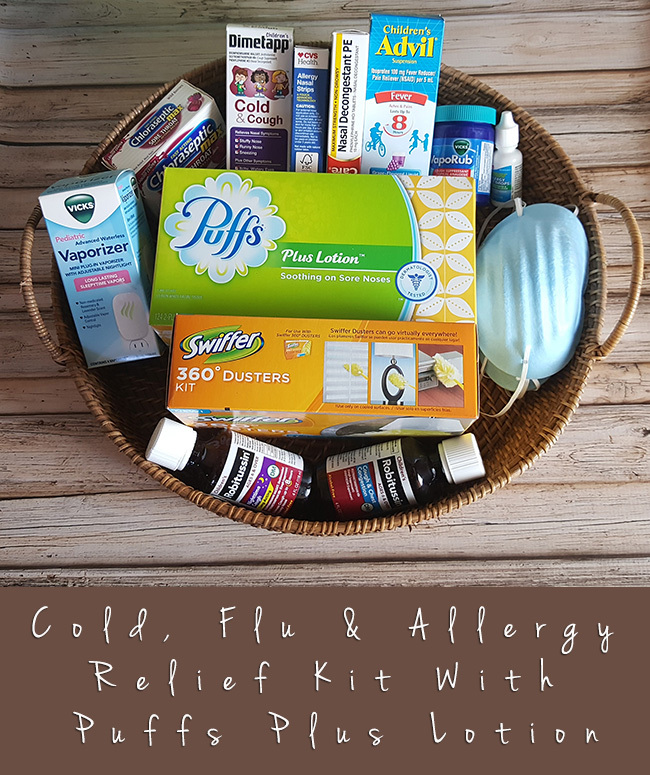 Be prepared this season and make your own cold, flu and allergy relief kit with everything needed to provide some relief. To make things easy I have created a shopping list for you to print that includes all the supplies listed above. Click the image below for the full size printable version. Love to shop at Sam’s Club like I do? Be sure to enter the giveaway below to WIN a $250 Sam’s Club for yourself and one to give away!